Lead is basically an opportunity that can generate revenue for business. It can be from existing or new customers. 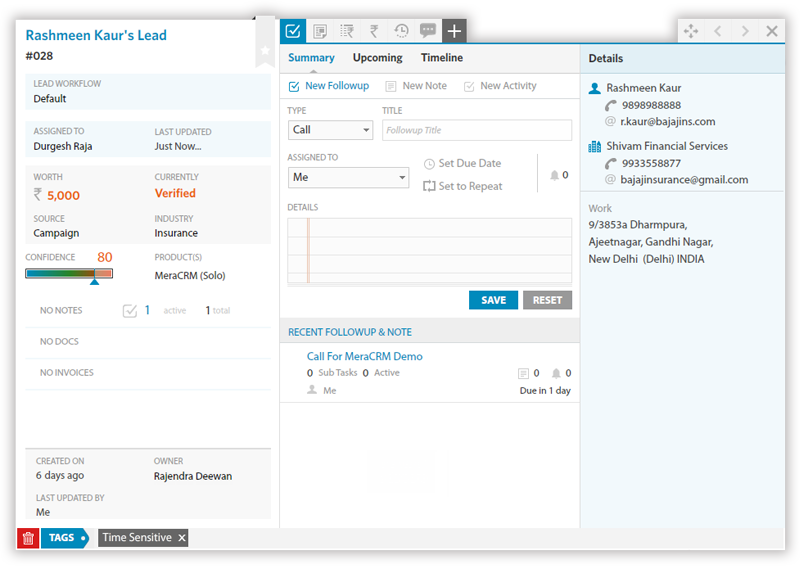 In India, it is known by various names like inquiries, orders, business etc., MeraCRM provides smart tracking of leads with fully dynamic stages, stage colors and stage types. You can link Organization and/or multiple people with the lead. Best part of MeraCRM leads are that they can be used with minimal or extensive details suitable to your business style. Know your lead better by having all the information at one place.